If I know anything, it is about the people, because just like you, I am a man of the people. I was born and raised in a poor neighborhood of Caracas. I was forged in the heat of popular and union struggles in a Venezuela submerged in exclusion and inequality. I am no tycoon; I am a worker of mind and heart. Today I have the great privilege of presiding over the new Venezuela, rooted in a model of inclusive development and social equality, which Comandante Hugo Chávez forged starting in 1998, inspired by the legacy of Simón Bolivar. We are living today in a historical crossroad. There are days that will define the future of our countries, giving us a choice between war and peace. Your national representatives of Washington want to bring to their borders the same hatred that they sowed in Vietnam. They want to invade and intervene in Venezuela — they say, as they said then — in the name of democracy and freedom. But this is false. Their history of the usurpation of power in Venezuela is as false as the weapons of mass destruction in Iraq. It is a false argument, but it can have dramatic consequences for our entire region. 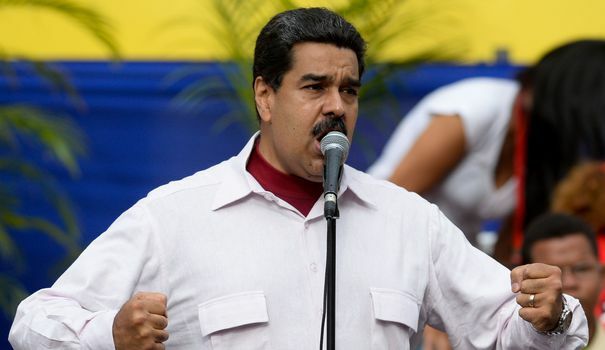 I address these words to the people of the United States of America to warn of the gravity and danger that some sectors in the White House intend, that is, to invade Venezuela with unpredictable consequences for my country and for the entire American region. President Donald Trump also intends to disrupt the worthy initiatives to open a dialogue promoted by Uruguay and Mexico, with the support of CARICOM, for a peaceful solution and dialogue on behalf of Venezuela. We know that for the good of Venezuela we have to sit down and talk because to refuse to dialogue is to choose the path of force. Keep in mind the words of John F. Kennedy: “Let us never negotiate out of fear. But let us never fear to negotiate.” Those who do not want to dialogue, are they afraid of the truth?